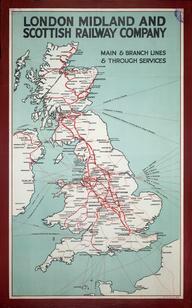 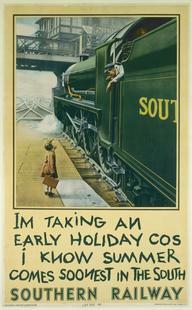 Poster, London & North Eastern Railway, 'East Coast Frolics - No 2. 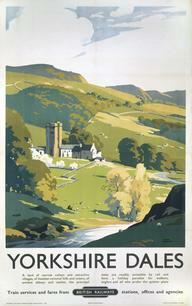 "Another Perfect Day" says "The Drier Side" Shellback' - travel cheaply by LNER, 1933, by Frank Newbould. 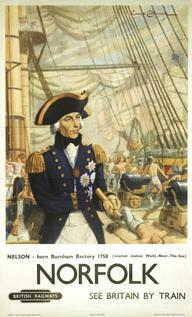 Illustration of a lobster holding a telescope. 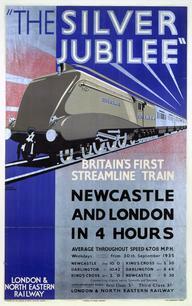 Format: 40 x 25 inches, Dimensions: 40 x 25 inches, 1016 x 635mm. 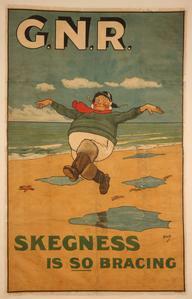 One of a set of six humorous posters exhibited in the 1933 LNER Poster Art Exhibition at the New Burlington Galleries in London.